Versatility for unrivaled performance. 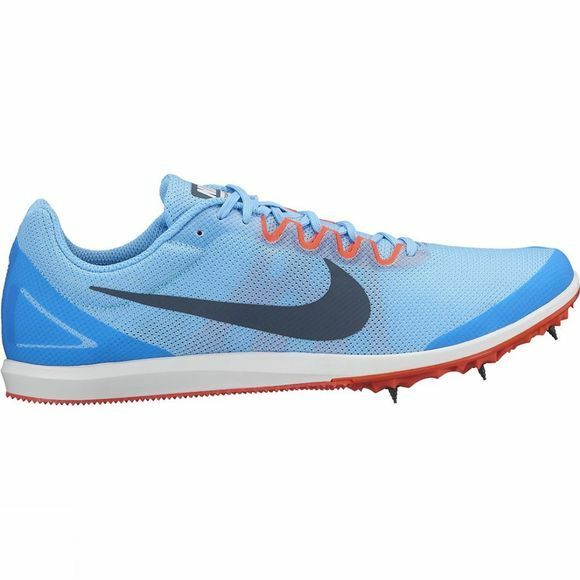 Designed for events ranging from 800m to 5K, Unisex Nike Zoom Rival D 10 Track Spike delivers a cushioned, anatomical fit with an arch band that wraps the midfoot so you can smoke the competition in secure comfort. Internal arch band wraps the foot for a snug, secure fit. No-sew overlays add support in the heel. Overlays on the toe tip and eye-stays offer durability. Cushioning has been increased under the heel for ideal comfort. 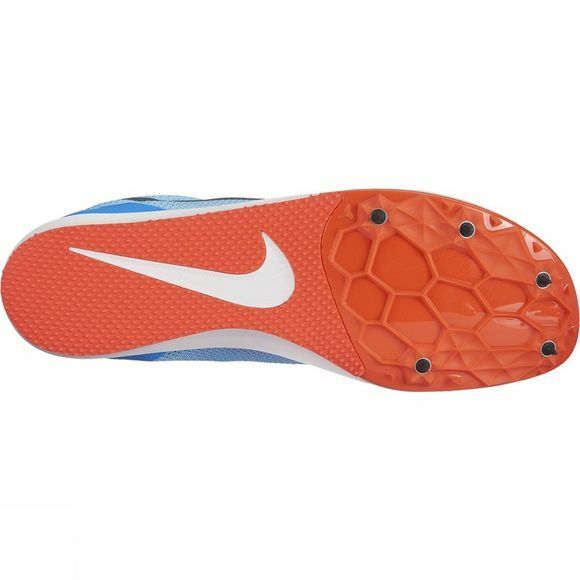 Updated plate smooths the transition from forefoot to heel and is ideal for a variety of surfaces. Aggressive and rigid Pebax® plate with 5 spike receptacles in the forefoot offer maximum propulsion, speed and traction on the track.